John Bouman, president of the Sargent Shriver National Center on Poverty Law, joins David to discuss fighting poverty through the court system, the prospect of welfare reform under President Trump, the Affordable Care Act, and more. Arizona Senator Jeff Flake joins David for the Axe Files on CNN to discuss what drove him out of the Senate, how his Mormonism informs his views on the Muslim ban, whether he thinks Trump will face a primary challenge, and more. Former White House spokesman Jay Carney joins David to talk about covering an attempted coup in Russia, how the job of press secretary has changed under Trump, his current role at Amazon, and much more. Washington Post columnist Michael Gerson joins the show to talk about his battle with cancer, a wake-up call for the GOP, his work on PEPFAR, and much more. Boston mayor Marty Walsh joins the show to talk about his past struggles with addiction, labor unions in the 21st century, his commitment to DACA recipients, gun control, and more. Lawrence O'Donnell, journalist and host of MSNBC's The Last Word, joins David to discuss his rough encounter with the Boston Police Department, the car accident that changed his life, his work on The West Wing, his new book, and much more. Journalist and CNN anchor Jake Tapper joins the show to talk about cartooning at Dartmouth, his date with Monica Lewinsky that helped launch his journalism career, moderating the second Republican primary debate, his new novel, and more. Former White House Communications Director Anthony Scaramucci joins David to talk about is upbringing on Long Island, how the economy has impacted communities like his home town, what went wrong during his tenure in the White House, the Rob Porter scandal, and more. Canadian Prime Minister Justin Trudeau joins David at the University of Chicago Institute of Politics' fifth anniversary celebration for a conversation on growing up as the son of a prime minister, the tragic death of his younger brother, his mother's mental illness, youth engagement in politics, and issues facing both U.S. and Canada. Virginia Senator Mark Warner reacts to the State of the Union address, discusses the latest developments in the Russia investigation, and shares his thoughts on the economic challenges that will define our future. McKay Coppins, author and staff writer for The Atlantic, joins David to talk about his bizarre journey with candidate Donald Trump, Mitt Romney's Mormonism, his recent profile of Mike Pence, and more. Journalist and CNN political analyst David Gregory joins the show to discuss his interview with Joe Biden, covering the Bush administration, his career after Meet the Press, the OJ trial, and more. New York Times columnist Ross Douthat joins David to discuss his faith, why Trump loves the New York Times, Trump's brand of racism, and much more. Author and resident scholar at the American Enterprise Institute Norm Ornstein joins David to discuss the impact of mental illness in his life, the prospect of political reform post-Trump, the loss of Congressional norms, and more. 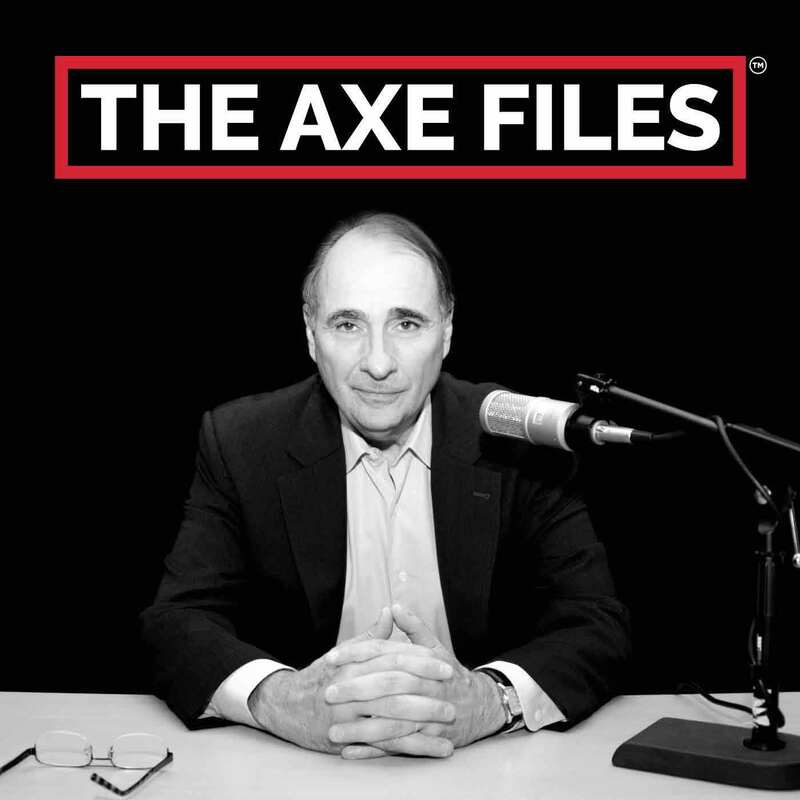 Former Secretary of State Condoleezza Rice joins the Axe Files on CNN to discuss her tenure in the Bush administration, foreign policy under the Trump administration, her advice for Oprah, and much more. Illinois Congresswoman Cheri Bustos joins David to talk about representing a district that voted for Trump, how Democrats can reach out to rural white voters, why pushing for impeachment is a mistake, the state of Democratic leadership, and much more. Jake Sullivan, senior policy advisor to Hillary Clinton's 2016 election campaign, chats with David about his role in negotiating the Iran nuclear agreement, the Steele dossier, deconstructing the Clinton campaign, and more. Los Angeles Bureau Chief for the New York Times Adam Nagourney joins David to talk about his lifelong love of politics, journalism in New York City, Trump's relationship with the New York Times, and more. Cardinal Blase Cupich, archbishop of the Archdiocese of Chicago, joins David to talk about his journey to the highest levels of the Catholic church, visiting Puerto Rico in aftermath of Hurricane Maria, the impact of the recent tax bill, gun violence in Chicago, and more.